Yeah, it is a hard job, but somebunny gotta do it! Did you..., did you get into my nannerini barrel last night? Looks like it Dougie. Maybe leave sleeping pandas lie. 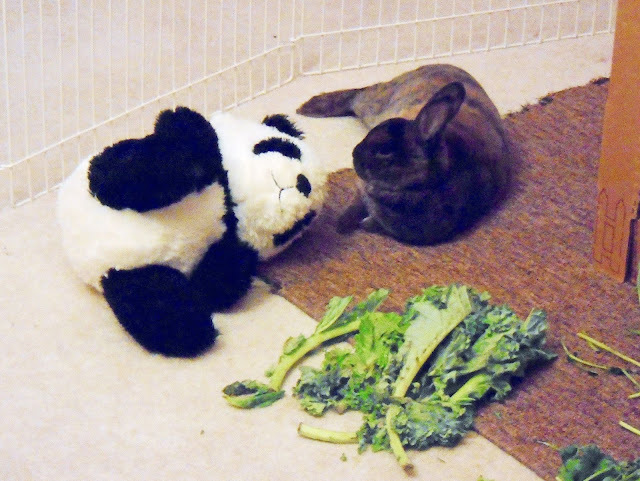 Dougie is way more plush than plush panda! Must be all the greens he is eating.